The latest sign of deepening crisis in Venezuela? McDonald's has been forced to suspend sales of Big Macs in the country because it can't source one of the burger's key components. Arcos Dorados, the world's largest McDonald's franchisee, said Thursday that it wasn't able to supply the middle bun that separates the two burger patties. While the company is working to resolve the problem, it will continue to offer menu options such as the Quarter Pounder and a cheeseburger called the McNífica. Venezuela is deep into a humanitarian crisis, and the country is suffering from food shortages. 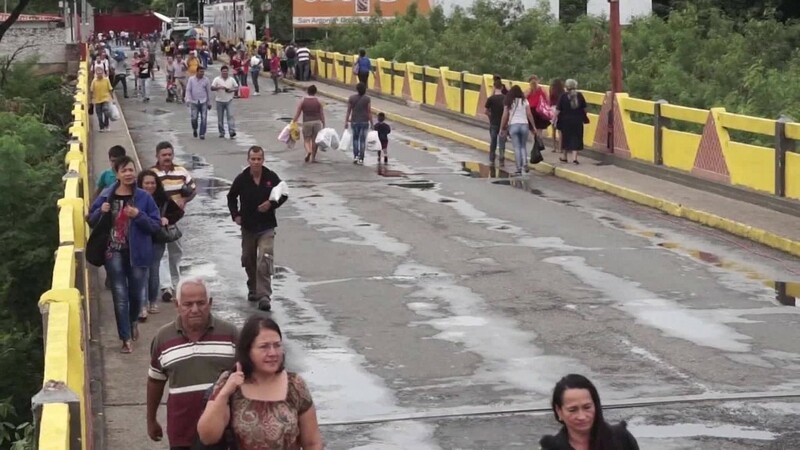 Venezuelans flooded into Colombia on Sunday after the border was temporarily reopened, allowing them to buy basic foods and toiletries -- rare commodities in their home country. The country can't pay to import some goods because its government is desperately strapped for cash after years of mismanagement of its funds, heavy spending on poorly run government programs, and lack of investment on its oil fields. The International Monetary Fund forecasts Venezuela's economy will shrink 10% this year, worse than its previous estimate of 8%. It also estimates that inflation in Venezuela will catapult to 700% this year. Veneuzuela's foreign reserves are now a mere $11.9 billion, according to its central bank. Two years ago it had $20 billion. The country has had to ship gold to Switzerland this year to help pay down its debts. The country could be quickly approaching an economic judgment day. It owes about $5 billion in a string of bond payments between October and November. Many experts believe the chance of default is very high. -- Patrick Gillespie contributed reporting.